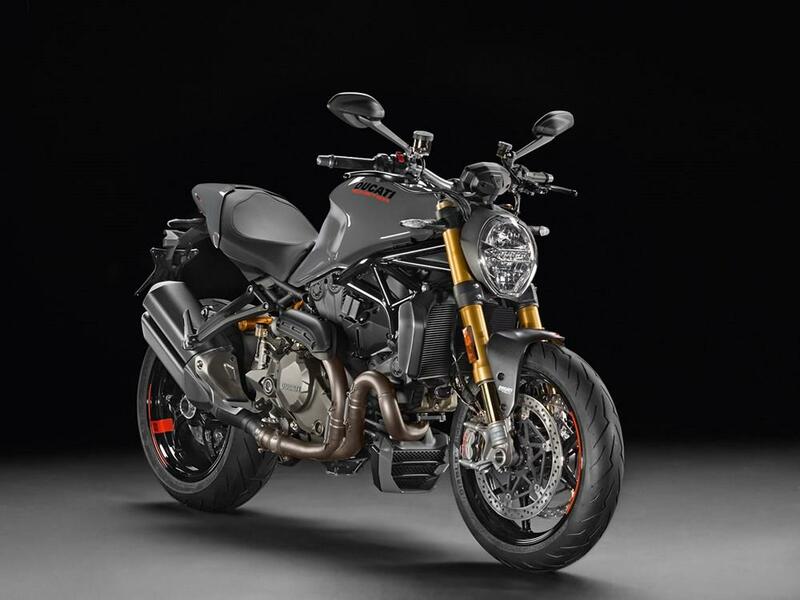 MCN will be test riding the updated 2017 Ducati Monster 1200s tomorrow, one week after it was revealed at the Milan show. We loved the last update back in 2014, and the updated and Euro4 compliant Monster looks set to impress again with a sleeker tank, fully redesigned sports-style tail, an all-new headlight and a first-rate electronics package derived from the one fitted to the 1299 Panigale. 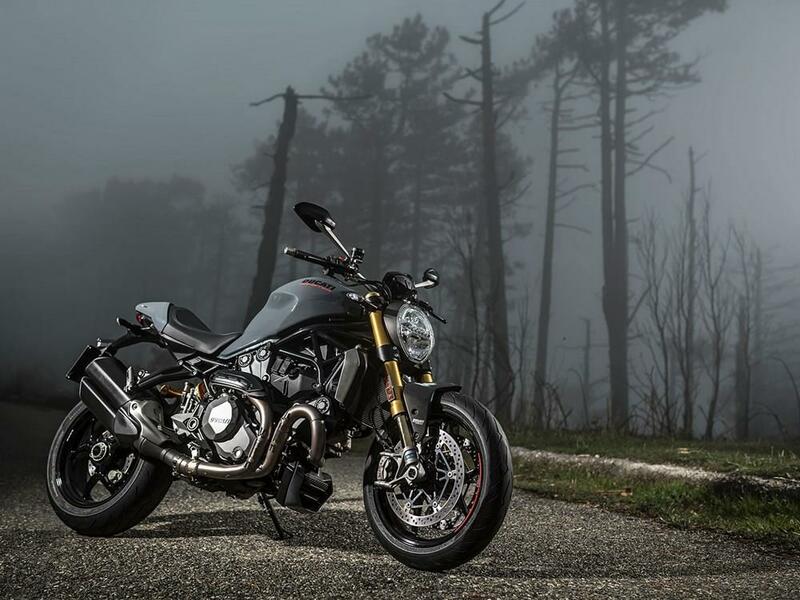 “The Monster is still available in two versions, a standard 1200 and a 1200S, both use the latest version of the Testastretta 11° DS engine, which is now knocking out a rather healthy claimed 150bhp at 9250rpm – a considerable 15bhp boost over the outgoing model in stock guise, and a cheeky 5bhp more than the outgoing S variant. Still in residence behind the selector buttons on the bars is a comprehensive electronics package with three different Riding Modes (Sport, Touring and Urban), and includes the Inertial Measurement Unit that feeds information to the Bosch Cornering ABS and Ducati Wheelie Control systems. The S will set you back £14,295 in red, and £14,495 in grey, when it arrives in the New Year and the stocker will cost £11,495. Looking for the perfect two-wheeled companion? Visit MCN Bikes For Sale website or use MCN's Bikes For Sale App. 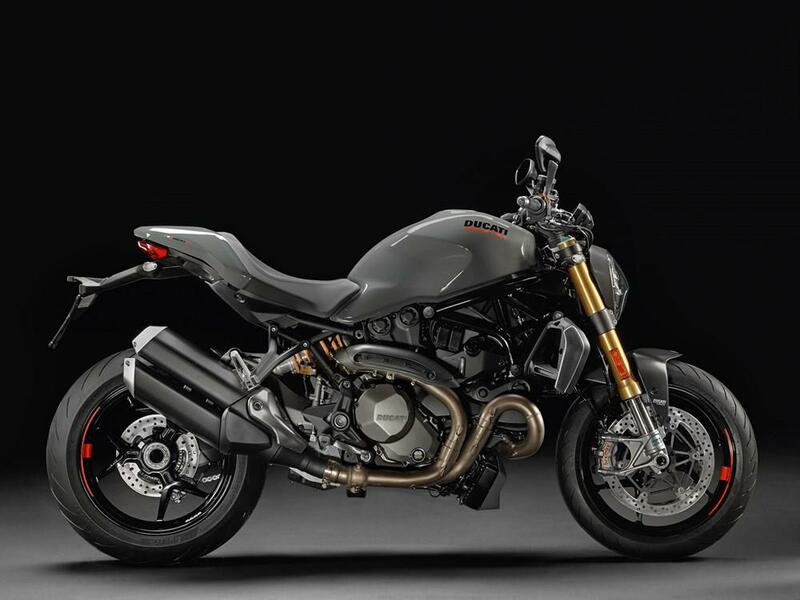 "All-new, liquid-cooled reinvention won't suit everyone but is best Monster yet"
Ducati has tried to make the Monster as user-friendly as possible - and it's worked. 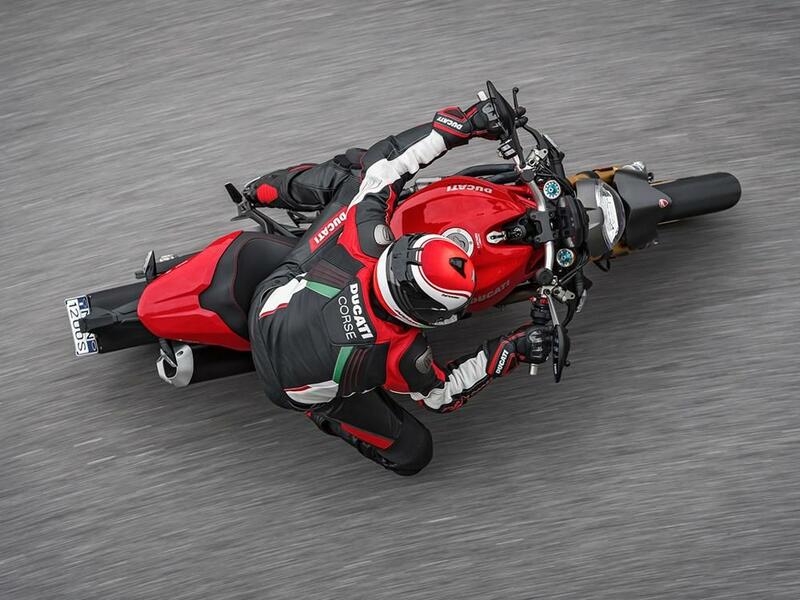 Impressive on track, yet offers the comfort superbikes can only dream of.